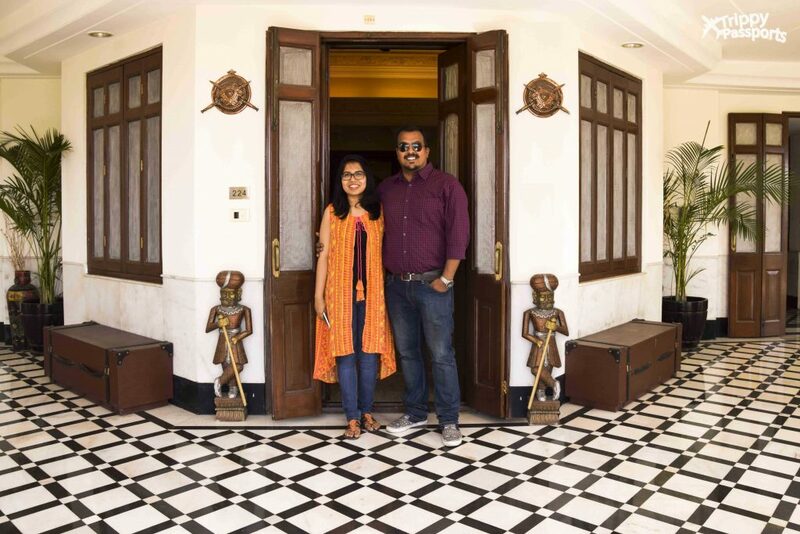 If you’ve read our blog post on planning a trip to Udaipur, you may remember that we had decided to put up at the Lalit Laxmi Vilas Palace for a night. So on the penultimate day of our 4 days trip, we shifted base. There was no way we were going to miss out on an opportunity to experience staying in a historic palace. The Laxmi Vilas Palace was originally built by Maharana Fateh Singh in the year 1911. Perched on top of a hill, this sprawling heritage property was later turned into a hotel. 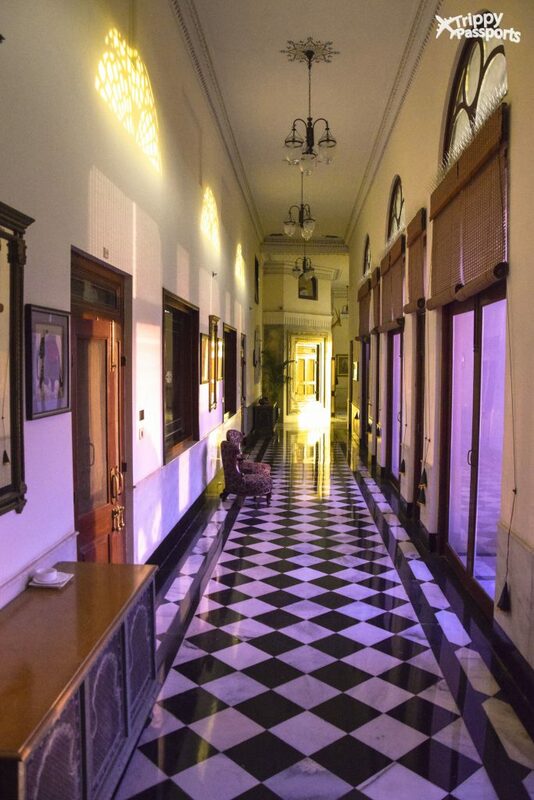 Built as a residential palace fit for a king, the interiors of the hotel have a distinct architecture, characteristic of the bygone Rajput era. We were welcomed to the palace with a refreshing cup of warm herbal black tea. The very helpful porters swiftly took over our luggage while we proceeded to check-in at the reception. All their staff members were extremely warm and quickly briefed us on the facilities available at the hotel. But what they did next, was something we wouldn’t have imagined in our wildest of dreams! 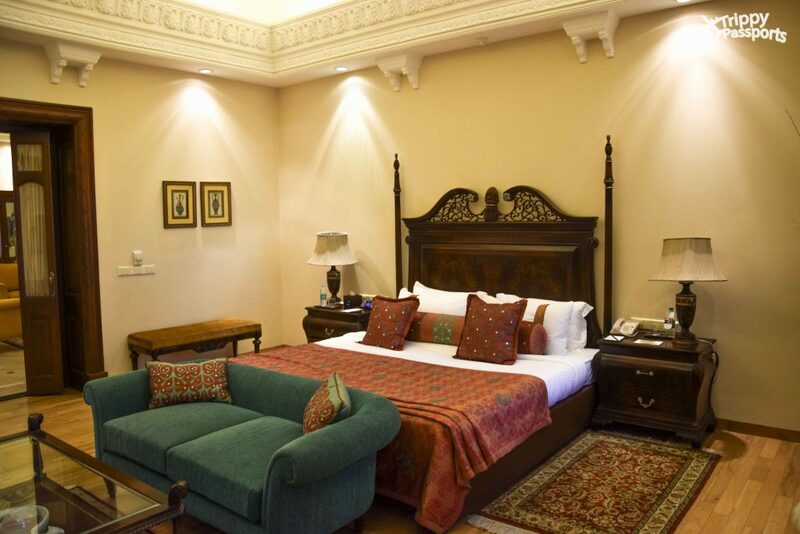 The Maharana Suite is the largest, most luxurious accommodation at the Lalit Laxmi Vilas Palace, Udaipur. Spread over a massive area of about 1200 sq. ft., the suite is palatial, to say the least. 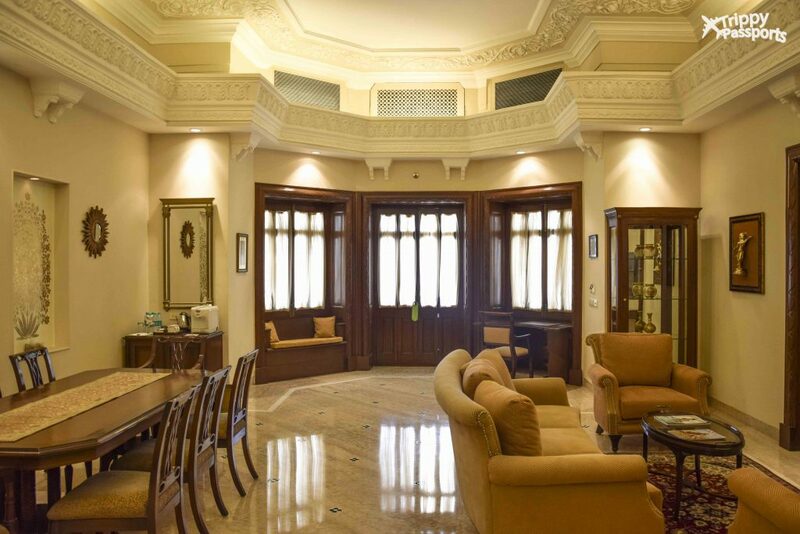 The antique wooden doors at the entrance open into a massive drawing space, adorned with plush furniture and exquisite decorative pieces. With an 8-seater teakwood dining set in place, equipped with a television, mini-bar, and espresso machine, this is a perfect place for hosting a few guests during your stay. By now, as you can imagine, we were completely floored by what we were witnessing. But hold on. This was just the beginning! As we walked into the bedroom, we were left awestruck. The Maharana Suite was really living up to its name. 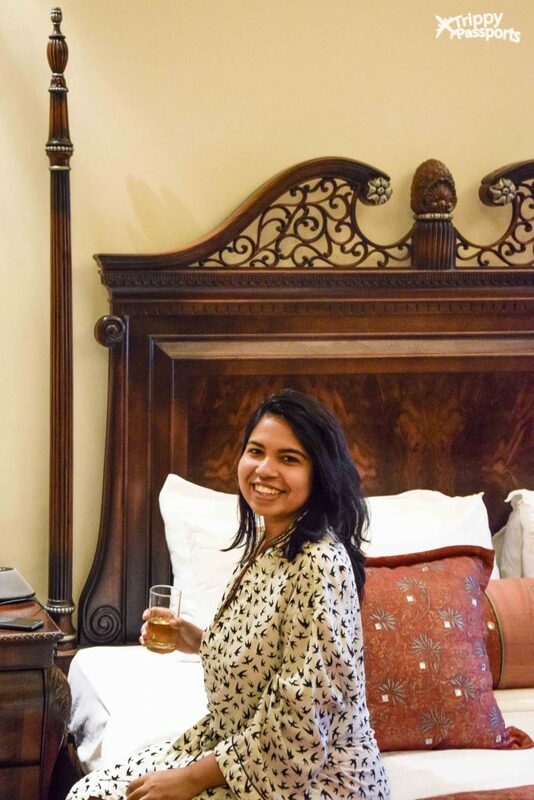 Furnished with a bigger-than-average antique teakwood bed, luxurious furnishings and linen, this indeed looked like it’s right out of the pages of a history book. Dreamy is the word! That old-world charm of the hotel was also coupled with all modern amenities you would expect to see at any luxury property (Of course I’m referring to those insane JBL speakers by the bedside! 😉 ). 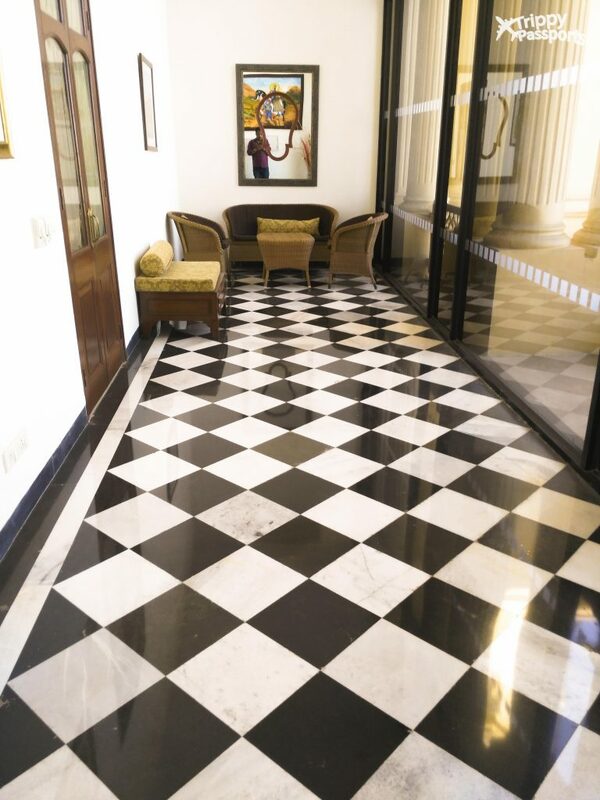 The suite also came with a sprawling verandah attached to the bedroom, overlooking the vast expanse of Udaipur city. Perfect spot for lounging around lazily on days you don’t want to get out of your room, but could do with some spectacular views! 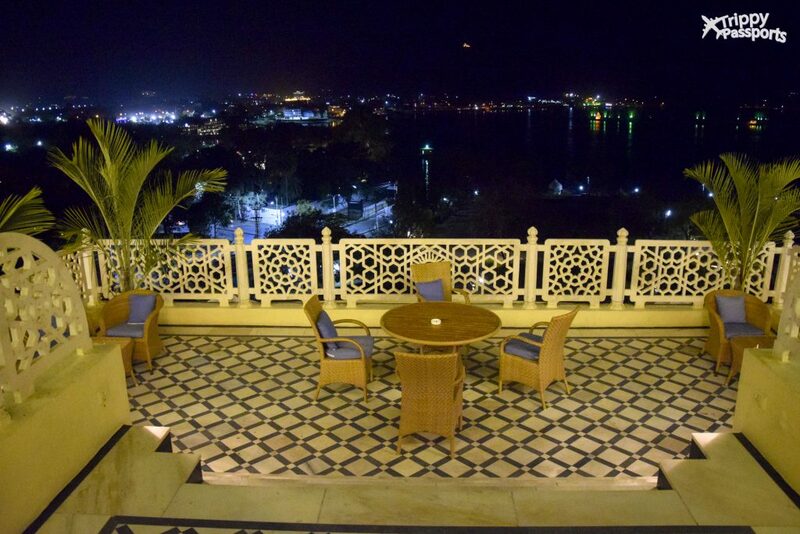 Another highlight of this suite was the access to a private balcony, intricately carved in white marble, looking right into the Fateh Sagar Lake. Strategically located just outside the main entrance to the suite, we had this space entirely to ourselves during our stay. If you’re looking to spend a quiet moment while admiring the beautiful vistas, this is where you should be. 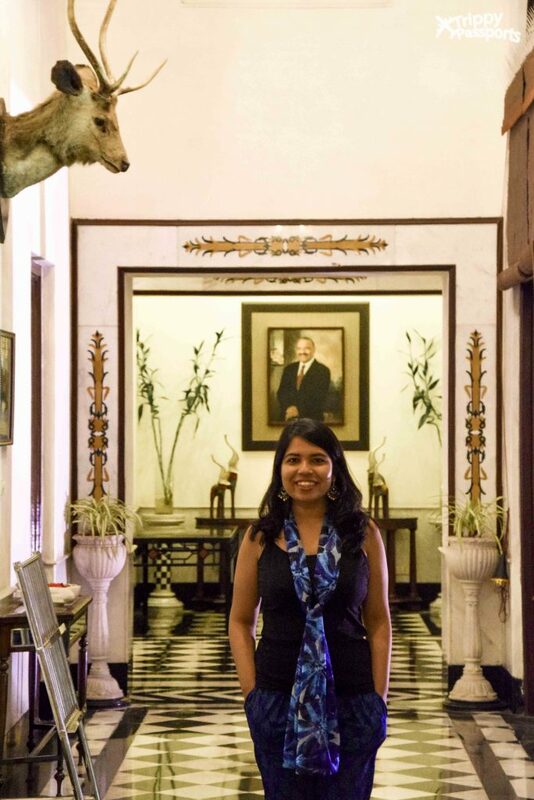 The Lalit chain of hotels is known for their warm hospitality, staying true to its core values. But honestly, for us, it’s the little details that matter the most. Next afternoon before check-out, we were sent another surprise platter of handmade chocolates and fresh fruits, before we could even properly get over the overwhelming buffet breakfast! These are the kinds of gestures that really leave a lasting mark and want you to keep coming back. 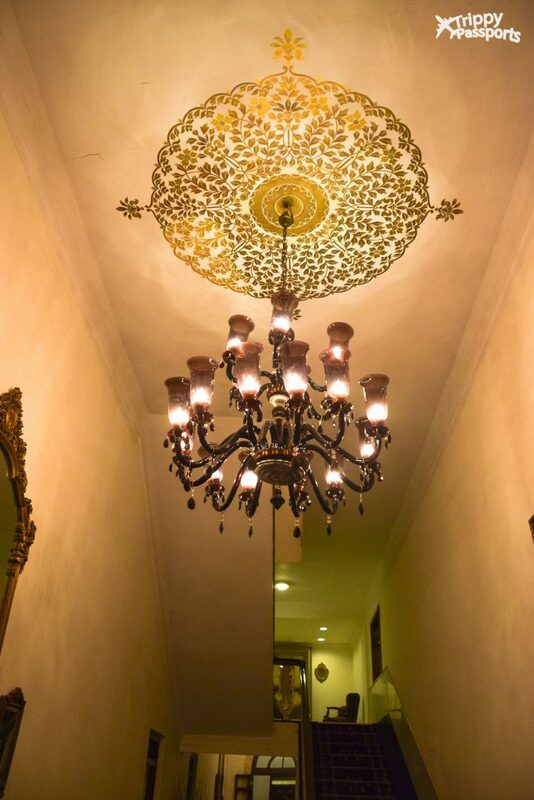 The beautifully adorned corridors of the palace, the wall murals, the delicate chandeliers – all take you back to an era of opulence and royal elegance. We strolled throughout the entire property and couldn’t help but marvel at the decor and how it all lent to the palace’s old-world appeal. What we loved most about the Lalit Laxmi Vilas Palace is that they were so attentive to every detail to make our short stay memorable! Large hotel chains sometimes tend to get slightly mechanical and lose that human touch. But gladly, that was not the case here. 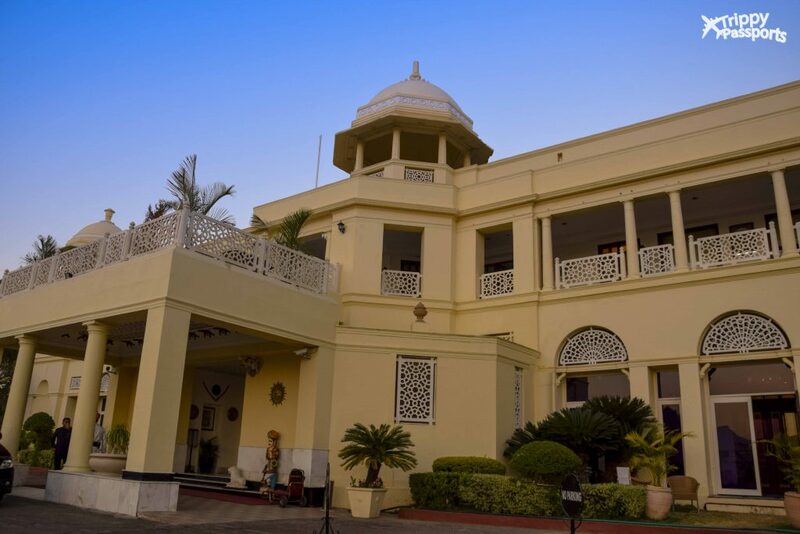 The Lalit Laxmi Vilas Palace has seamlessly blended heritage with luxury living, without undermining the historic value of the property. Have you ever had an experience of staying at a historic palace? Let us know in the comments below. We would love to know! This place looks amazing! I had to look up where Udaipur is. I don’t plan to visit India until next year, but I’ll definitely include this place on my bucket list. Great to hear that! 🙂 I hope you visit Udaipur some day. It is a lovely place for those who love history. What a special place to stay. 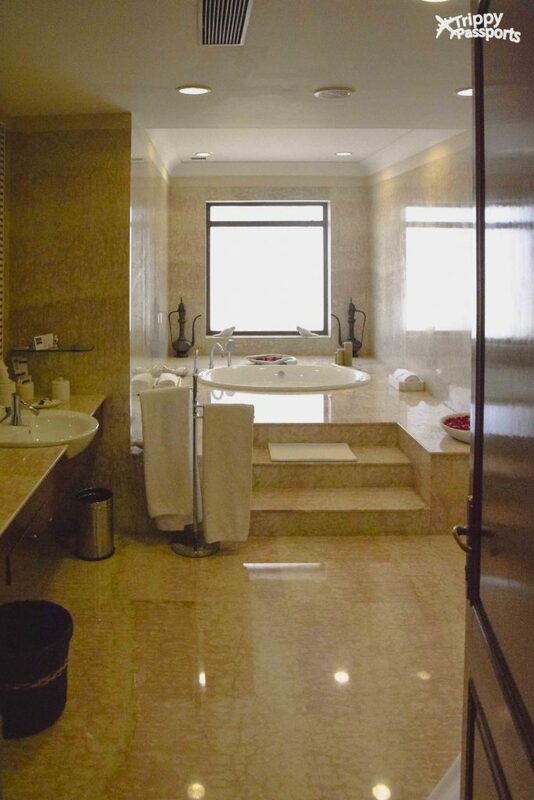 All those little touches make such a big difference to the feeling of luxury dont they? What an awesome experience! I love the history you were surrounded by. India was already on my bucket list, but this place in particular is going on it now. You had me at “where opulence meets timeless beauty” this is a great read and I love how you write! Wow, how amazing! Beautiful photos and it looks like you had a great time. I like how you have your brand water marked in each photo. This is something I wish I could do and would love to hear more about that! This place is beautiful! I would love a soak in that fantastic tub!! Wow, those pics make me wanna go there right now, lol. Looks like you had a great time! I can’t get over all the crown molding on the ceilings! This is gorgeous! And that floor pattern is crazy! What a cool opportunity! It looks beautiful! 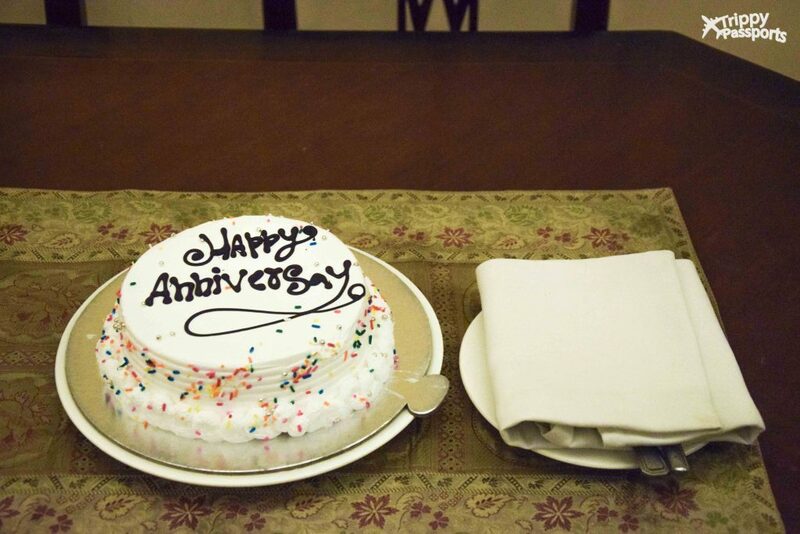 What a great place to celebrate and anniversary! Congrats! That suite is massive, Chandrika! 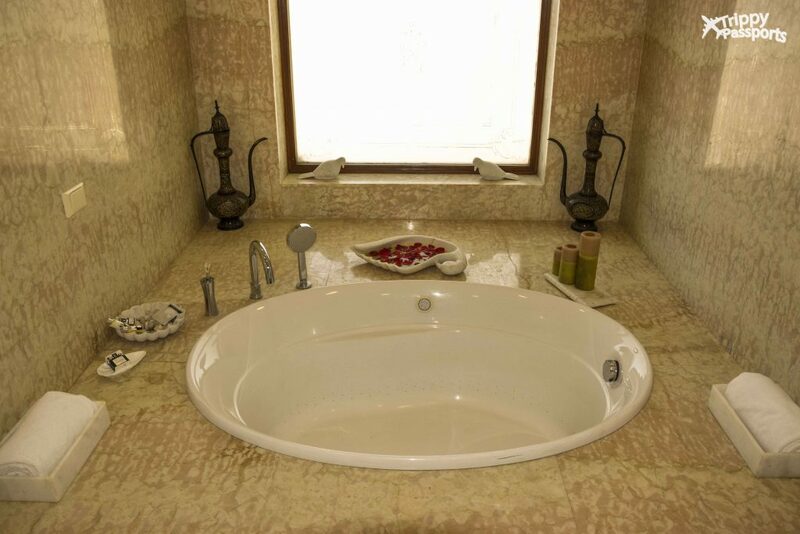 The moment I looked at the jacuzzi, I was like who would want to go out, I am going to spend all my time here only. I totally love hotels, homestays, and palaces of Rajasthan, wherever you stay, the welcome and personal touch is beyond amazing. I once stayed at Dadhikar Fort in Alwar and enjoyed the attention thoroughly, though this one looks beyond luxurious! What’s the cost/night here, if you don’t mind me asking?